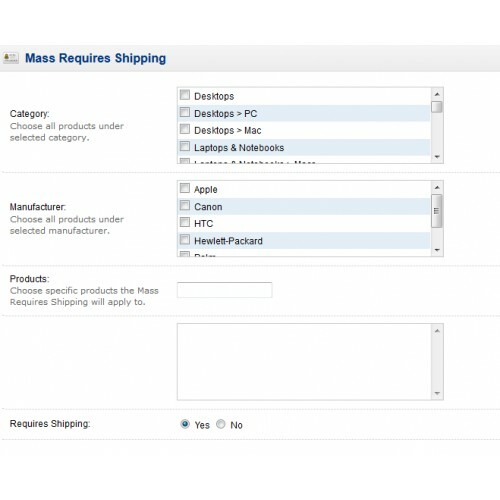 Mass Requires Shipping allow you to change Requires Shipping on multi products with one click. 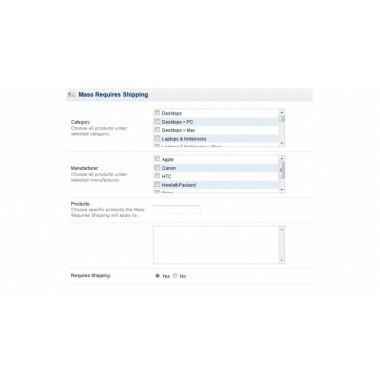 Note: if compatibility version is not listed the one you need, contact us. Upload files into root folder of store.